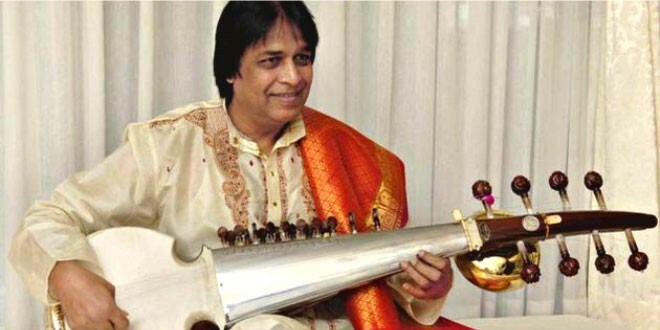 A sarod is what accompanies classical artiste Brij Narayan on his travels within the country and abroad. On a brief stopover in the city on the invite of the Chandigarh Sangeet Natak Akademy, the maestro, who took up music following in the footsteps of his father and grandfather, shares notes from his journey, which he calls bhakti. Your father Pandit Ram Narayan played sarangi, you picked up sarod; and your son Harsh opted for sarangi, what’s the secret behind the choice of instruments? Music runs in the family; while the raag, ragini, taal and discipline remain consistent in each one of us, as much as any other classical artistes, we have used different instruments to express it. While sarangi is played with bow, sarod is with strokes. I chose sarod for I like its sound better, its gambhir (staid). To Harsh, sound of sarangi seemed more soulful, so he opted for the instrument his grandfather mastered. You have spent five decades in the classical field, how has it changed over the years? Change is eternal in every field. In our times, there were no devices to record and play; now technology has revolutionised that. One can see, share, learn and listen due to all-pervasive technology. However, I feel competition is immense now, especially in academics. In our time, we were good with passing marks; today nothing works less than 90 or 95 per cent, which places youngsters under huge pressure. Albums, films and you have composed extensively for years, what are the current projects you are working on? I am quite concerned about some of the ragas that are hardly sung now. I have selected some 35 of them like bhairav bahar, shankara and patgeet. I want to record and preserve them in order to pass on our rich classical tradition to the coming generations. What’s your advice to youngsters who want to pursue classical music? If money is one of your concerns, classical music is not the way to earn it. It is the way of bhakti, one of the ways to reach God. Come for the sake of it, not treating it as a means to a materialistic end.